Sounds great. Congratulations. The waiting begins! I'VE GOT THE BLUES !!! Heard from our dealer today that the build for our New Aire starts on Oct 5th and it will go to paint on 10/10. Wow.. Its actually happening! Just thought I would share some details on my 360 camera not being right which I mentioned in my list of issues. It would appear I'm one of the few Ventana's that has had a 360 camera installed and the problem is probably related to that. The way these 360 cameras work is that they install four fish eye cameras which then need an ECU/Video processor to both straighten the image, but then also stitch all the cameras together to give the image as if it was taken overhead by a drone. 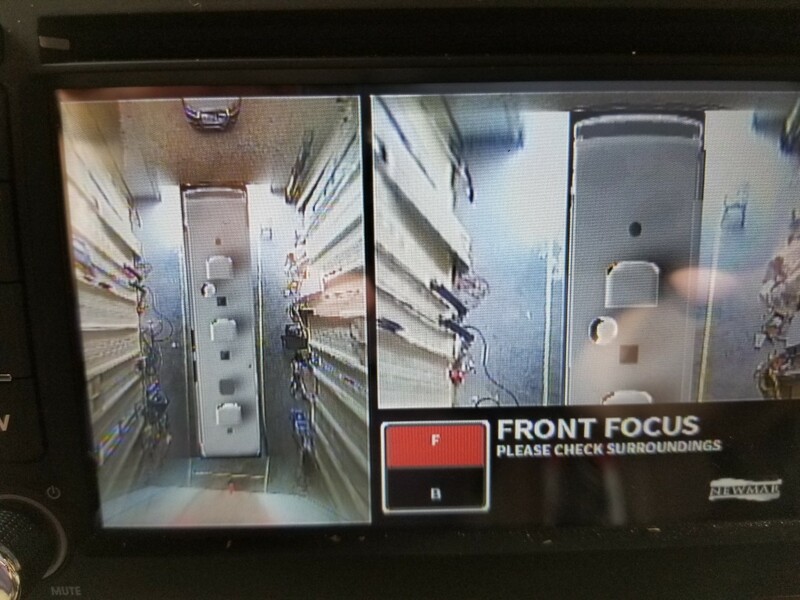 The way they do this is by installing calibration strips in different places and then taking images from the cameras and feeding it into a computer that then outputs a calibration file that tells the ECU how to straighten the image and stitch all four cameras into one seemless view. In my case, it would seem the ladder and awning arm was blocking part of the calibration strips, which isn't an issue with the Dutch Stars without the ladders and with the Girard awnings and the like. 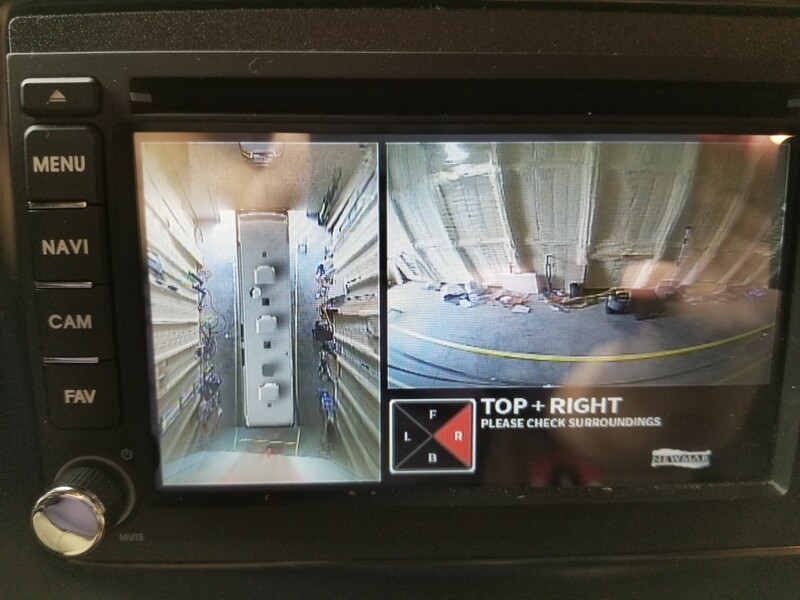 Anyway, the vendor that makes it and Newmar are working together to tweak the calibration file, and Coachlight is working to get the equipment needed to load the calibration file once the vendor helps Newmar tweak it. Great support from all, and hopefully I'll get a good resolution. Here's how mine is messed up. Notice the line down the left side of the coach (this are tape lines I've installed in my garage to help guide me in, as I have only a few feet front and back, and need to get in straight and now where to stop), but on the right side, you can see how it's warped. Then, what's worse, is the lines behind the coach are angled to the left, when the actual lines are straight and the image should be straight. 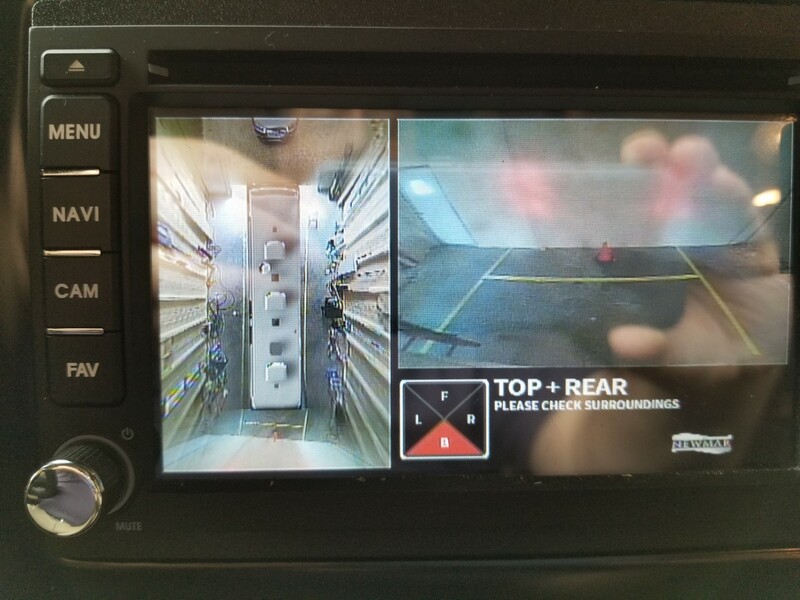 You will also notice in the second image that shows both the overhead view and the view out the back, the lines look good on the rear facing camera (this is the 360 rear facing camera, not normal backup camera), but they are skewed in the overhead shot. This was the first indication to me that it wasn't a "camera" problem, but instead a calibration issue, which has now been confirmed. The third image I included just to show you would the fish eye view looks like before the calibration does it's thing. That's the right side 360 camera. I'm sharing these mostly so that if anyone else has similar bad results on a 360 cam they will know to reach out to get them resolved. I was hoping that my new coach was going to arrive today on the projected date I was giving by Newmar. Went to paint on September 6 but I guess we have some more waiting to do. Midway is very close to the factory so the delivery should not be delayed by that I hope. I just realized that my Ventana doesn't have fans up front for driver/passenger. Did they just stop this in '19 or did Ventana never have it? Also, they mention dash overhead ventilation system. What is that? I'm taking it out tomorrow to fuel up and go to a CAT scale, I have to try and remember to look, since driver/passenger overhead ventilation is listed as a standard feature. Yes there is a dash switch, vents are behind front overhead cabinets facing down towards windshield and dash.